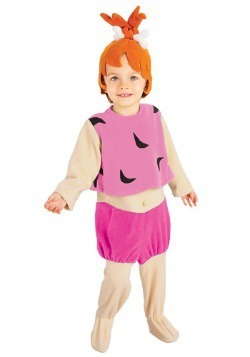 Pebbles is the adorable daughter of Fred and Wilma Flintstone. Her personality is much like her father's and she enjoys plotting her own wacky schemes that usually backfire. She is Bamm Bamm's best friend, later girlfriend and eventually wife. 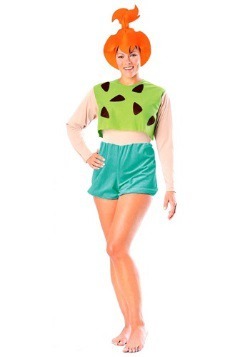 After growing up in Bedrock and attending Bedrock High School, she eventually moves to Hollyrock with her husband Bamm Bamm and pursues a career in advertising. As a pre-teen she was an excellent baseball player. 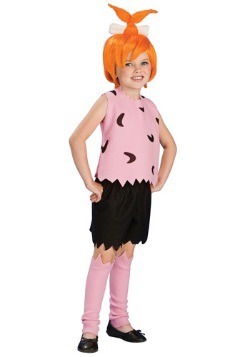 Now that you're up to speed on this charming member of the Flintstones family, you'll be ready to wear your Pebbles Flintstone costume and play the part convincingly to anyone who's a fan of the show!